Here is my "evolution in progress". Wanted to blend the best of both wolds: AR upgradeability and conveniences with AK robustness and reliability. Let's see it in process of conversion. Customized and polished G2 FCG, Hogue PG, OEM-style trigger guard, CSS bullet guide (all from Carolina Shooters Supply). With (heavily hacked) MSA AR mag adapter, Magpul MOE stock, PMAG, and StrikeHard Gear chest rig and MOLLE bayo adapter. ACE mech from CSS; plate and AR mag adapters from MSA. Folded Magpul MOE on ACE hinge, paratrooper style. Looks like a lot of time and effort have gone into your build! Going to have the barrel threaded? Frankly, it took more time hacking MSA adapter to work in the dimpled receiver, than to assemble the rest. Considering removing FSB in favor of 45-degree off-set pop-up backup sights (Magpul, Troy or alternatives). Will see once optics is in. Looks good but I don't care for the handguard myself - I like the standard AK front end look. Went to the Range late last night and fire-tested my latest updates (trigger tweaks, handguard and AR-AK adapter with PMAGs). 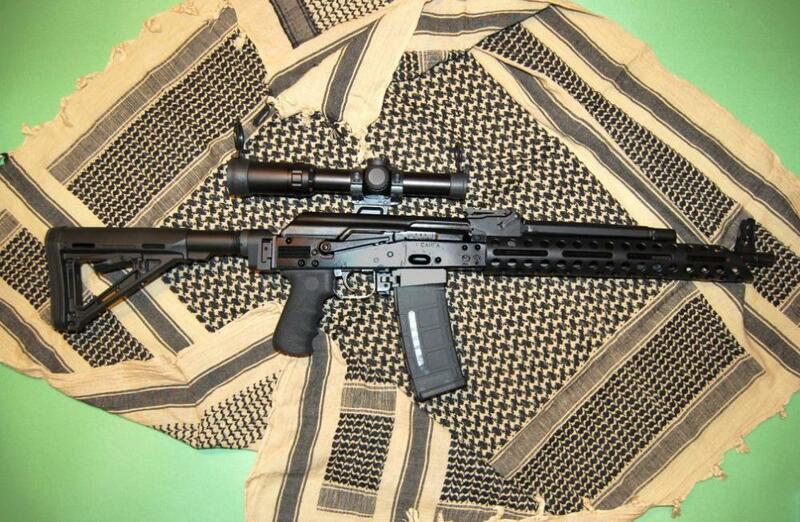 This is the sweetest tactical-style rifle I’ve had and shot. It performed flawlessly for over 80 rounds, shot nice groups (it was not a primary goal last night) and functioned without the single hiccup. Polished G2 felt smooth and even through; much better than stock, even though with Tromix twist (I bought it at CSS). It fits the palm just right and after 80+ rounds in 30 minutes (including 20+ in rapid fire), there is barely any warmth felt coming through from the barrel. (If you need a "hand warmer", then look other way!). Thinking of Primary Arms 1-4x illuminating scope, combined with their green dot reflex site. Marshall is out of stock on 1-4x, so I'm idling on the waiting list. Looks great. 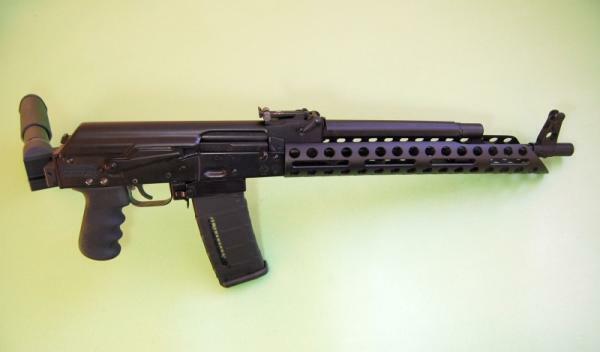 I think an ultimak rail with some flip up sights and maybe a redot for cowitness, would put this buid over the top. Really well put together. Looks great except for that damn long fugly thing up front. Any way to shorten that thing? I was thinking of shorter one (most of them are), but liked slanted design in "FuglyStick" pattern and overlooked the fact that it's longer. It might be easier to order another, shorter style and ask for custom slanted design or take "Freeze" pattern (it looks shorter). Ask Jay by sending e-mail. There is welded mounting rail inside, which need to be shortened proportionally, to expose receiver insert (block) and drill/tap receiver screw hole. It would look great cut straight flush with the gas block IMO. Don't be shy about your photoshop skills. Wow, you guys are twisting my arms and my limited budget (lol). "Let's see, it's Tuesday, cloudy and I feel like "Freeze" in snow-white with Magpul MOE stock". On another thought, from 3-gun comp to "mall ninja": designated handguards with already attached special-purpose accessories; why not? Pardon me while I'll step out to get me a lottery ticket. (Idea for FuglyStick's Jay: what about handguards monthly or weekend rentals?). So what did you have to do to install the MSA adapter? Can you drop the mag with your trigger finger? There is a serious misfit in design application for "dimpled" Saiga. It required heavy, very heavy filing inside and out. Right from the start you cannot insert it into receiver withouh jamming it. Then you mag gets jam-stuck in it. One thing I can say: if I had to do it again, I'd go with Mike Thomas' Renegade Buck adapter (ask The Deacon; see threads below). I did only moderate receiver modifications and elected to modify PMAG at this point (can post pictures if interested). Mag drop with finger trigger: YES, easily (but after heavy fine-filing, trimming and polishing of adapter). I like that...I like it a lot...make it so! Is the handguard held by anything other than the tab and screw in the receiver? How stable is it? Do you think you could fit an ultimak gas tube without much trouble? 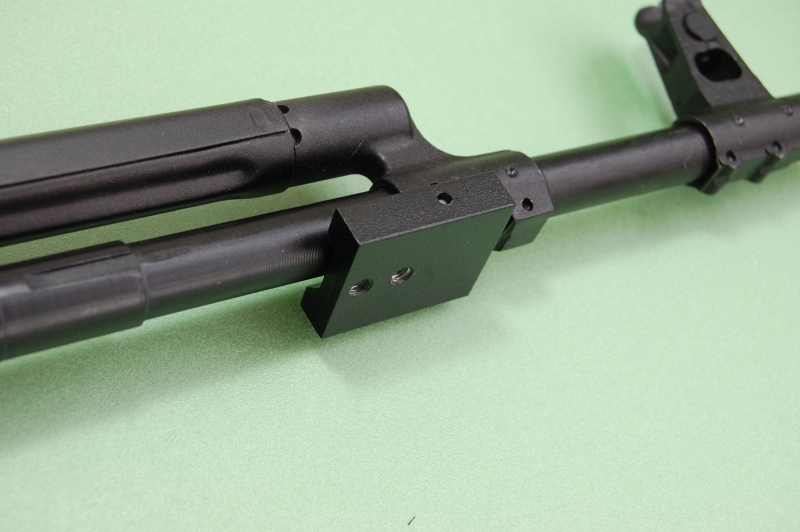 Like Saiga's OEM, FuglyStick handguard is being held by 2 attachment points: at the receiver and at the gas block. You need to install included Gas Block Plate (pictured), utilizing modified gas block pin (also included), and then mount handguard to the plate using 2 shoulder bolts. All hardware and clear instructions included. P.S. I've had Ultimak before, and don't think you can mount both without modifications to the FuglyStick, but I might be wrong. I am about to speak the sin, but I don't like, nor see much value in Ultimak. Once installed, it prevents gas tube from easy field strip for cleaning. It's not a tube, but gas port is critically important to keep clean. After trying the Ultimak in the past, I went back to OEM side mount and planning to utilize FuglyStick for mounting extra "toys", maybe including off-set BUIS sights. 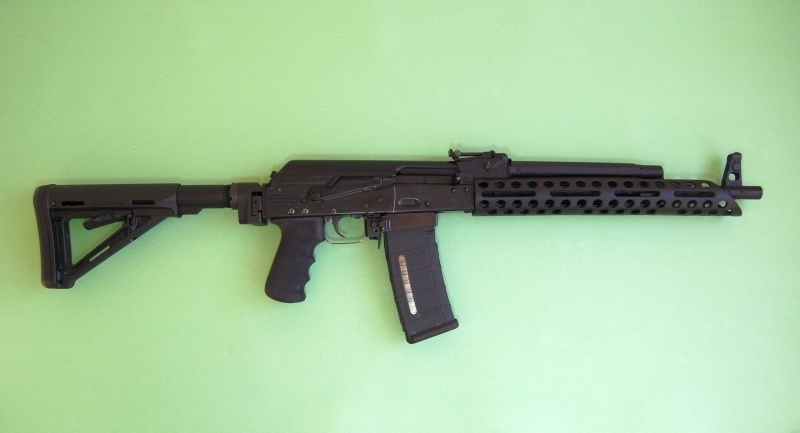 Handguard itself is just as sturdy, as Saiga's OEM. 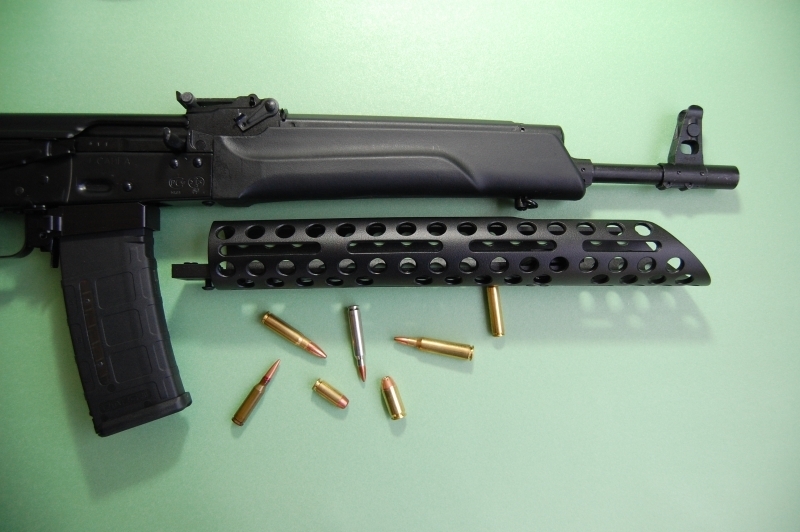 Actually, it's sturdier, as, unlike Saiga's polymer-on-pin, FuglyStick is 'metal-to-metal". Thanks for the info! I'm going to do something similar with my .223, just can't decide between the fuglystick and the modular rail Midwest is releasing soon. I agree that the ultimak isn't ideal but I might be trying something completely stupid as far as irons go and I'll need the ultimak if I end up doing that..
One more question, is this the internal block that you're using, and if so, is there anything preventing you from mounting the folding mech higher on the receiver? I bought my block from MSA directly (part "I.S.A. Saiga"; http://magnoliastate...id/i-s-a-saiga/), and it fits like a glove. Same concept. Originally I set the stock higher, but struggled to maintain the cheek weld with stock folding to the left (AKS OEM style), as tube and stock set way too high for using the irons. I just got 30 mm VOMZ side scope mount and, most likely, will raise the tube and stock assembly for use the scope as primary sight. I don't know yet if irons will stay clear or become blocked, so stay tuned. Thanks again. That mount looks interesting, looking forward to your report.. I am afraid I will! (Just don't tell Jay at Fuglystick: I requested the one I have as custom-made part). That fugly forehand thing is kind of ugly . It would not have been my first choice , frankly . Perhaps you cut shorter it a bit to make it straight . 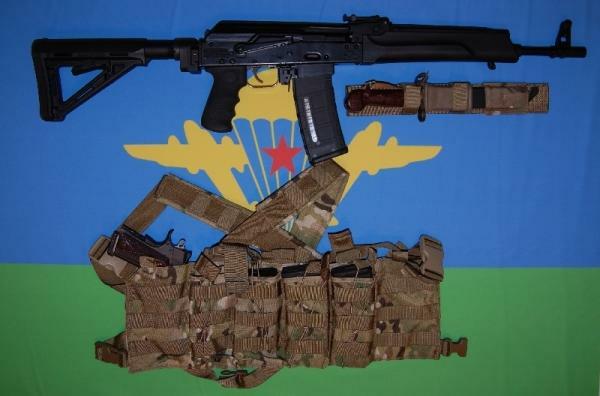 I , too prefer the looks of the regular short AK forehand . 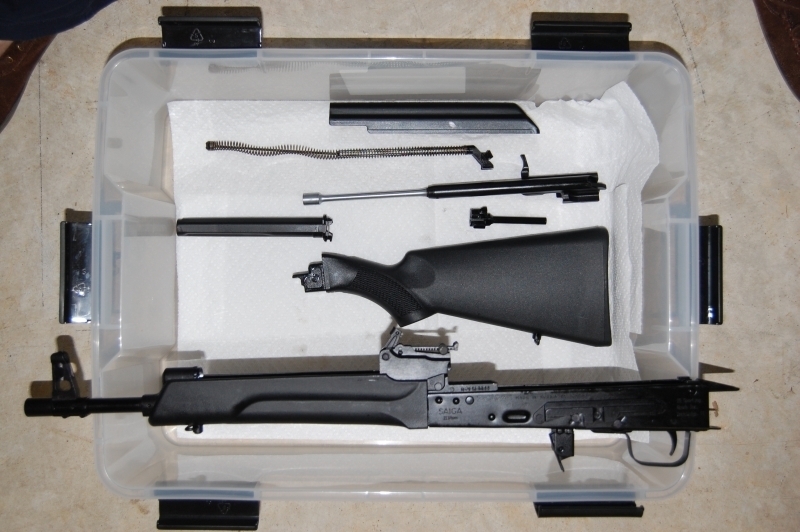 In my case I chose the Tapco Intrafuse type , black , to match with the stock . Of course , I also had to replace the gas tube and install the forehand adapters , but I think it was worth it . Hey, it's a Free Country! I appreciate your feedback and shared pictures. Frankly, I've got FuglyStick for looks, but keep for functionality. I've had a number of service-grade AKs (AKS-74, AKS-74U, AKMS) and never had an issue or lack of (crucial) features for intended use. But why not: (repeat after me) "it's a Free Country!". You are absolutely right . It is a free country and it is your weapon . It was wrong of me to try to impose my point of view ... my apologies . If I didn't want other (than mine) opinions, I wouldn't put it into open forum. Therefore, critiques expected and appreciated (might not be agreed upon). At the end, each and every project still greatly contributes to National Security (despite whatever libs/anti-gunners are saying). "AKAR" with Primary Arms 1-4x on modified VOMZ sidemount, custom Fuglystick, MSA adapter, and ACE folder with Magpul MOE. "AKAR" with Primary Arms 1-4x on modified VOMZ sidemount. 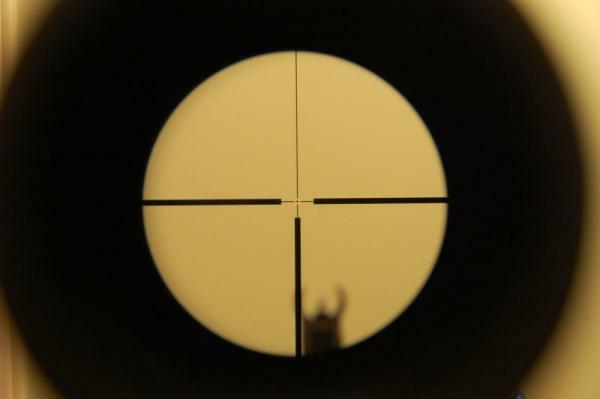 Iron sights clearly visible four use as BUIS. Primary Arms 1-4x with red dot "on". Great build man! 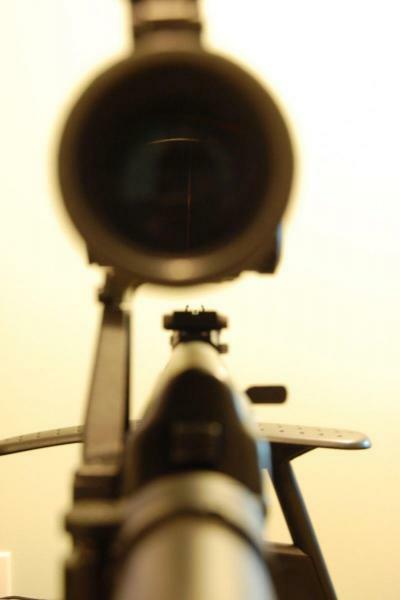 Thanks for the views with the scope- exactly the kind of thing I'm wanting to do with mine without sacrificing the iron sights. Good job! And, for what it's worth, I LIKE the fuglystick in looks and functionality. On a short barrel it's nice to have something out there to grab.